The Pentagon has "begun the process of our deliberate withdrawal from Syria," a military spokesman says. In this photo from Dec. 30, 2018, a line of U.S. military vehicles are seen at a checkpoint in northern Syria. According to a statement on Friday night by Pentagon spokesman Cmdr. Sean Robertson, no U.S. personnel have left. The issue of personnel was not addressed in the statement Friday morning by Ryan, spokesman for the anti-ISIS coalition. He said, "Out of concern for operational security, we will not discuss specific timelines, locations or troops movements." News of the first steps of a withdrawal come as the U.S. is negotiating with Turkey about guaranteeing protections for U.S.-allied Kurdish fighters. Turkish President Recep Tayyip Erdogan's government considers the Kurdish YPG militia in Syria to be a terrorist organization linked to Kurdish separatist groups within Turkey. On Friday, U.S. national security adviser John Bolton said those talks will continue into next week. They're taking place even as Erdogan says his military is prepared for a possible operation in northern Syria. Questions have swirled around the withdrawal order since Trump made the unexpected announcement last month. 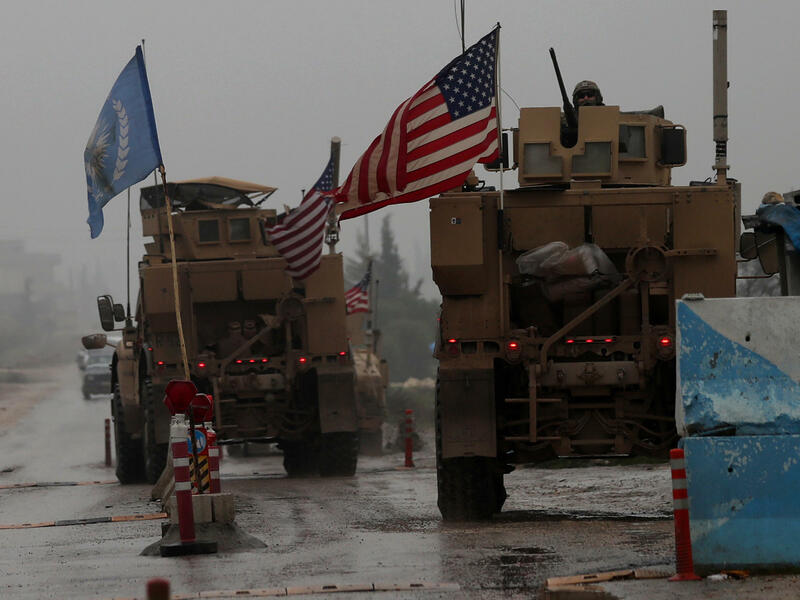 It also sparked criticisms that the U.S. is pulling out of Syria before ISIS is truly defeated — abandoning America's Kurdish allies in the region, ceding hard-won influence to neighboring Turkey, and rewarding Russia's intervention alongside the Syrian regime. Turkey welcomed Trump's surprise order to the Pentagon, while other U.S. NATO allies said they received no notice. Within the Trump administration, disagreement over the pullout quickly led to the resignations of both Defense Secretary Jim Mattis and Brett McGurk, the president's special envoy to the coalition fighting ISIS. Secretary of State Mike Pompeo is currently on an eight-day tour to try to ease concerns about Trump's policies in the region. On Thursday, Pompeo declared that the U.S. is a "force for good" in the Middle East. On Friday, he told Egyptian state TV that the U.S. will pull out of Syria as the president ordered, "but we'll do so in a way that makes sense, that is orderly, that does everything we can to ensure the security of those who fought alongside us defeating the caliphate inside of Syria." When Trump ordered the U.S. pullout on Dec. 19, he declared victory over ISIS and said, "Our boys, our young women, our men, they're all coming back, and they're coming back now." But after the resignations of Mattis and McGurk and amid a wave of bipartisan criticism in Washington, Trump hinted at a longer timeframe. On Dec. 23, he said there would be a "slow & highly coordinated pullout of U.S. troops from the area." Bolton said last weekend in Jerusalem that the drawdown is conditional and doesn't have a hard deadline. "There are objectives that we want to accomplish that condition the withdrawal," the national security adviser told reporters. "The timetable flows from the policy decisions that we need to implement," he said, seemingly referring to the battle against ISIS and the future of the Kurdish fighters in Syria. Bolton's comments angered Erdogan, who abruptly canceled a planned meeting earlier this week.